Can economists forecast crashes? Is it possible to save resources and save the world? You will consider these issues and more on the UNIQ Economics and Management course. The study of Economics and Management examines issues that are central in today’s world and both fields of study inform ideas and trends in the other. 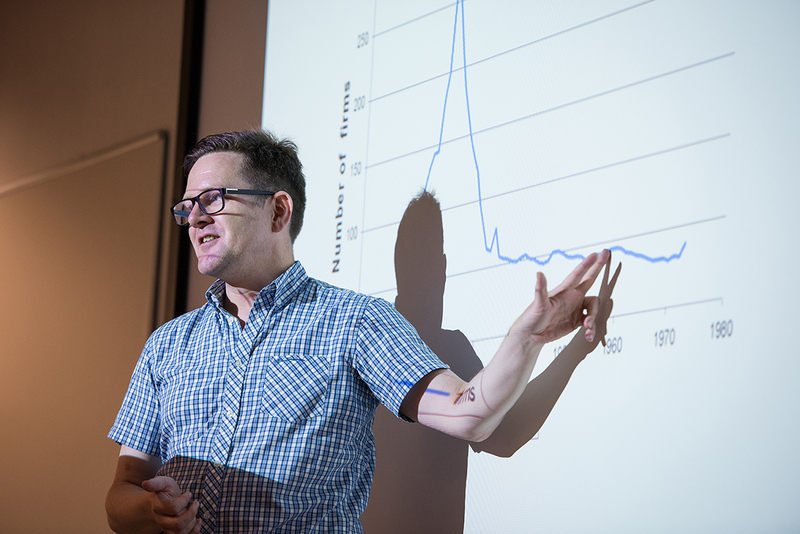 Topics covered in lectures and seminars are varied and range from an exploration of the economics of chocolate and the impact of marketing on consumerism, to Game Theory and sessions on banking reform. This UNIQ course will be taught by the Department for Economics and the Saïd Business School, allowing students to experience both aspects of a traditional economics and management course at the University. Students attend lectures and seminars led by Oxford academics and work throughout the week on an essay which they discuss at the end of the week with a tutor.